Quiet and sturdy lockers storage in multiple configurations. 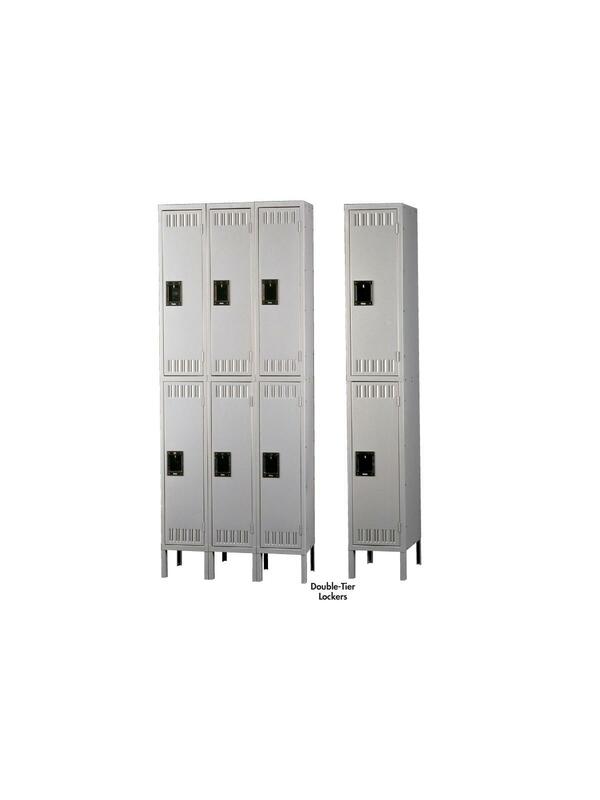 Constructed of heavy duty steel these lockers combine high performance with working durability. Double your storage capacity with the same amount of space. 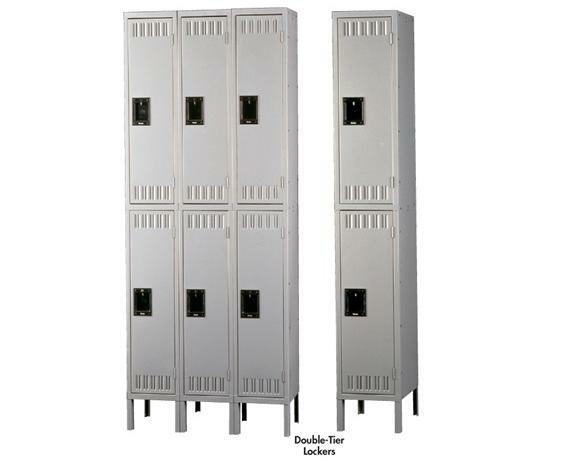 Rubber bumpers, door stiffeners and locking channels cushioned with rugged polymer materials make these lockers quiet. 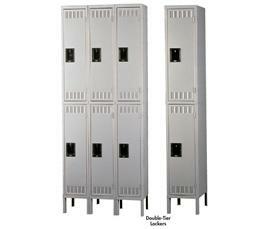 Lockers use vandal-resistant handles with low friction latching mechanism to open easy and smooth. Includes louvers for fresh air ventilation. All lockers have 6" H legs. Available assembled or unassembled. Provides plenty of room for shirts and jackets with three built in coat hooks. Closes with positive 2 point locking system. Perfect for the gym and school. Available in Sand or Medium Gray. FOB Shipping Point. See Related Items tab for Tennsco Locker Accessories - Sloping Tops and Tennsco Locker Accessories - Front and End Base Covers. 12 x 18 x 30"12 18 30"
12 x 18 x 66"